INCREDIBLE OPPORTUNITY!!!! Great 4bdr 3bth home with a den, loft, and a 3 car garage. There is a storage area framed inside of the garage. 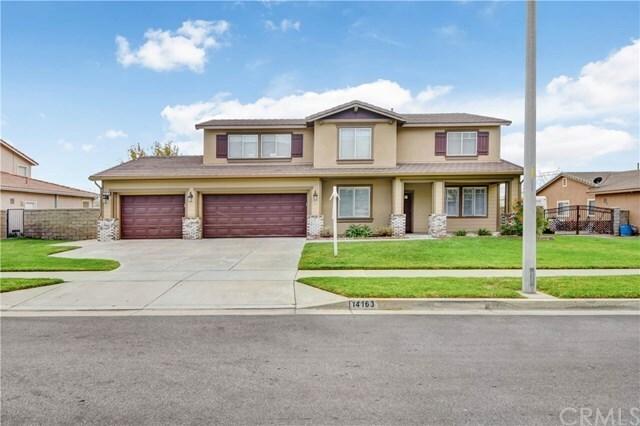 Located in the highly coveted Sheridan Estates and in the Highly Acclaimed Etiwanda School District. The home is being sold by the original owners. The home sits on 16,269sqft lot and has great Mountain Views and City Lights View. The den is currently being used as a bedroom, but it does not have a closet. The home has ceramic tile downstairs and in all the wet areas. The kitchen has a large island that leads to the family room. Upstairs you have 4 bedrooms, a loft, and a balcony outside of the master bedroom. The balcony offers great views of the valley below. All bedrooms have carpet and are a good size. The backyard has a covered patio, a basketball hoop, and a blank canvas area for a beautiful infinity edge pool. You can make this backyard, your dream backyard. Call me today for your private showing. Directions: From 15 Fwy exit Summit Ave head west, turn right on San Sevaine, turn left on San Antonio Dr.